Are you a whiz at finding information online? Do you love using Google products and services? 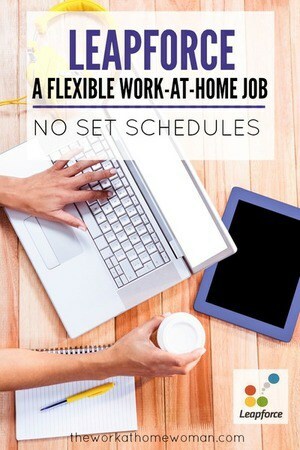 Are you looking to work from home on your own terms? Then read on to see if becoming a Personalized Search Engine Evaluator for Leapforce is right for you. What do Search Engine Evaluators do? Search Engine Evaluators complete internet research and evaluate the search results for relevance and usefulness. As a Personalized Search Engine Evaluator, you will be given tasks based on your personal Google history. Due to the personalized nature of this role, you will need to be an active user of Google search, Gmail, Google Play, and Google Plus. Because this position is performed 100% online — you do not need a dedicated phone line, and you can work whenever you want. What skills and equipment are needed? In-depth, up-to-date familiarity with social culture, media, and web culture of your locale. Excellent comprehension and written communication skills in English. College degree or equivalent experience; advanced degrees a plus. College students welcome. A PC or Mac computer running Google's Chrome web browser, version 31 or higher. No Chromebooks allowed at this time. Possess and use a self-supplied Android Phone version 4.1 or higher, Windows Phone version 8.1 or higher, or an iPhone version 4s or higher. To begin working as a Personalized Search Engine Evaluator for Leapforce, you will need to pass a qualification exam. The exam covers theoretical and practical comprehension of search engine evaluation. If you fail any part of the exam, you may be eligible for a one-time retake. As a Personalized Search Engine Evaluator, you are paid a competitive hourly rate. 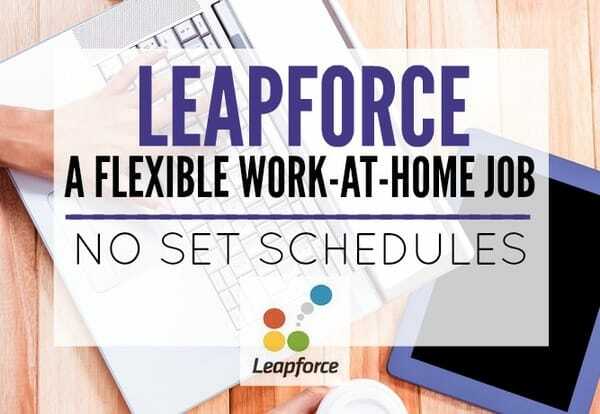 When you work with Leapforce, you are employed as an independent contractor — which means you're responsible for your expenses and taxes. Earnings are paid via Direct Deposit within 30 days of receipt of a valid invoice. Leapforce is currently accepting applicants from the US, Europe, Japan, and India. What do Leapforce employees have to say about the job? Leapforce has an A rating with the Better Business Bureau and a 3.7-star rating on Glassdoor.com. If you need a job with flexibility, working as a Personalized Search Engine Evaluator for Leapforce is an excellent option. Not only do you get to choose when you work, but you decide how little or how much you'd like to work. The pay is competitive, and the company has good ratings. To apply for this position, go to LeapforceAtHome.com and click on the right upper hand corner, “Become an Agent”. This is a sponsored post. Please be aware that we can only promote advertising from companies that we feel we can legitimately recommend to our readers. How do I get information on this? How does one get started? Sounds like something I would enjoy. I can literally find anything online. Friends have made fun of my research abilities, but it sounds as if it could come in very handy with this co. The job title is Web Search Evaluator. Apparently, you can’t find ANYTHING online. You were given the information needed- The company name, type of job, so you didn’t look good enough, or you would have found the link that says they had merged. Lol…haha…Go get ’em Elaine! Working with flexibility is always good! Do you have to have a degree? Hi Shelly, Some of the contracts require you to have a college degree. I would periodically check in to see what’s available. What if your interested but your living in Jamaica, what will you do?